Fast Home Offer in Charleston SC. Real estate agents always suggest that fast home offers are always the best offer. However, a real estate agent rarely gets fast home offers in reality. To make this happen, a home seller usually needs to sell the home to a company like Charleston SC House Buyers. If you are ready to sell your house now, you should give it some serious consideration. As a property owner, you need to understand the right time to accept a cash offer. But when is the right time? If you have considerable time- seven to fourteen months, you may prefer to try to get the highest price on paper. Certainly, a lot of home sellers try to go this route. Many of these home sellers end up not selling their house with a real estate agent after many months and then they finally look for a real buyer and a fast home offer. 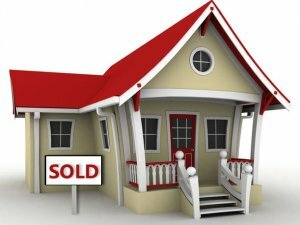 If you need to sell your house quickly, you can save a lot of time and net more money by selling your home fast to Charleston SC House Buyers, which is a trusted Charleston home buyer. If you try to sell with a real estate agent first, your finances may press you to accept the first offer from a poor quality buyer, who may not even be able to qualify for a loan. Nothing is worse than having a sale fall through at the last minute! The mortgage amount you need to pay monthly will cost you a significant amount of money, when you could have put that in your pocket if you sold your house to us. You may have already purchased a new house and you need to move or maybe you already moved and you need to sell your property urgently. To understand why a fast home offer offer is better than waiting for a retail buyer, let’s look at the steps we take before buying a house. First, we start by having you fill out a little information on our website for your home in Charleston, Berkeley or Dorchester County, SC. We will do a little research and then we will give you a fair offer for your home. After we agree on a price, we will sign the offer and set up the closing with a local real estate closing attorney, the same as any other closing. All you have to do is fill out the short seller/property form on our website to get started. Please note that we do rely on your information and if the property is priced too high, we cannot pay over a fair value for the house. Some people initial ask for a value over market fair value and we cannot buy the house at that time. However, once the home owner agrees to a fair price, we can go ahead and schedule the closing for a fair price and you will net the most cash in your hands, on your timeline! That is why the fast home offer is always the best offer. There are several other benefits that comes with a fast home offer, selling your home to Charleston SC House Buyers. We do not need appraisals, professional home inspections, a mortgage loan, repairs to the house, and we don’t charge any commission for our fast home offer. You may be asking yourself why we do not need appraisals by now. We do not need formal appraisals because we are not getting a loan. We will be buying your home quickly with our own cash. You will not have to pay for an appraisal or any other buyer’s closing costs if you work with us! A retail home buyer usually hires a professional home inspector to inspect ever board and wire in your house for any necessary repairs. You will be paying an expensive contractor to repair all these items before closing. This inspector is usually hired at a costly fee, and even if your house is in good condition, the inspector will justify their high price by finding problems in your house, whether they exist or not. We not hire professional home inspectors and we buy houses in as-is condition. You will not have any repair costs at all, which will save you a huge amount of money. You will not have to pay for a home inspector either. You do not need to bear the cost of repairs with a fast home offer. This is a good deal especially when you are unsure of what the repairs might cost you or when you know repairs are needed. Yes, you may be given a slightly better offer on the face of it with a retail buyer, but think of time and resources (money) that will be required to put the house in perfect condition (think what a new construction house looks like). It will cost you more to do repairs and pay commission to real estate agents. You can often net more with us! Not only do we not need a mortgage, but think about how costly your monthly payments are: money out of your pocket every single day that your house isn’t sold. Why not save the money and sell your house today? If we critically look at the time value for your money, by the time you finish paying your mortgage after many months or years of trying to sell your house with a real estate agent, you would have been significantly better off by getting a fast home offer and selling your house to Charleston SC House Buyers this week. To get your fair offer, simply fill out the quick seller form on our website today.